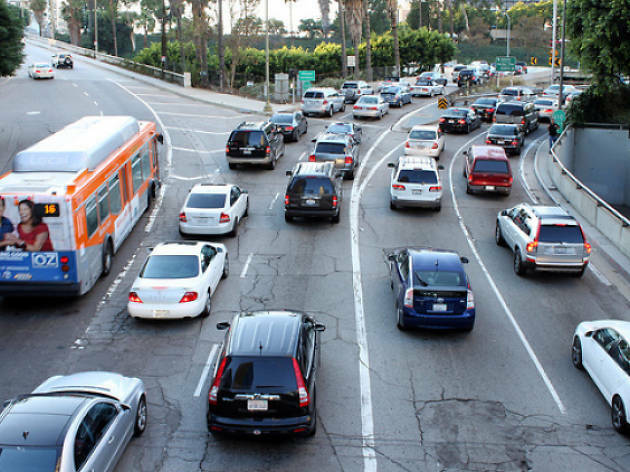 100,000 fewer cars in L.A. in 5 years? Here's how it can happen. Worldwide icon-chevron-right North America icon-chevron-right United States icon-chevron-right California icon-chevron-right Los Angeles icon-chevron-right 100,000 fewer cars in L.A. in 5 years? Here's how it can happen. 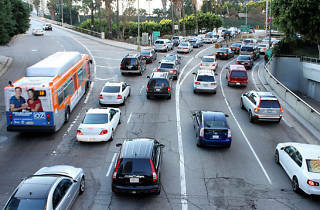 Los Angeles has been making major strides of late toward growing the public transportation system and reducing some of that infamous traffic. According to an action plan resulting from two years of collaboration between the Shared-Use Mobility Center and local government, business and citizens’ groups, Los Angeles could set a goal of getting 100,000 vehicles off the roads by 2021. The goal is an ambitious one, to be sure, but they lay out how it might just be possible. The plan breaks it down into six essential steps: Build out the reach of public transit, expand car sharing programs, grow bike sharing, experiment with ridesourcing, microtransit and vanpooling, build out mobility hubs, and—maybe the hardest of all—drive cultural change to encourage Angelenos to embrace post-car life. It’s a lot to take on but, according to the action plan, getting moving on all six points is the best chance of treating the urgent problems of traffic gridlock and air pollution facing the region. Recommendations for getting to the goals range from fairly easy to pretty grandiose. Building some more inviting bus shelters, installing more bike share docks and encouraging private employers to offer shuttle services for employees rather than encouraging car commuting all seem totally doable within five years. Building out more Metro lines and stations and creating mobility programs reaching out to all of the region’s widespread suburbs might prove a little more challenging—but we like to think that L.A. is up to it.